PVCu Stable doors look ideal in many home situations. They offer a really nice alternative to standard back doors and can give you the fresh air you may be needing but with restrictions put on tiny people or animals! How wonderful, on a lovely spring morning, (which we are hoping we will be seeing soon!) to be able to open the top of your stable door and know that you won’t be letting the toddlers out into the mud of the garden yet. You get the option of having plenty of sunlight, lots of fresh air and a real feeling of openness and space into your kitchen or utility room, which is a great way to blow out the cobwebs and look towards those long summer days. If you like the thought of a stable door but are worried about the security – perhaps you think it may not be so strong as it is made of two halves – well, we are here to put your mind at rest! PVCu stable doors are bespoke made and will have all the same security functions as our other entrance doors, including the special hook bolt lock for high level security.They can also be bolted securely together, giving you complete peace of mind. There will be a dual weatherseal for extra protection against the elements with stylish handle sets to suit your new PVCu stable doors. There will also be colour coordinated PVCu door hinges for enhanced security. We can offer many colours or foil finishes. 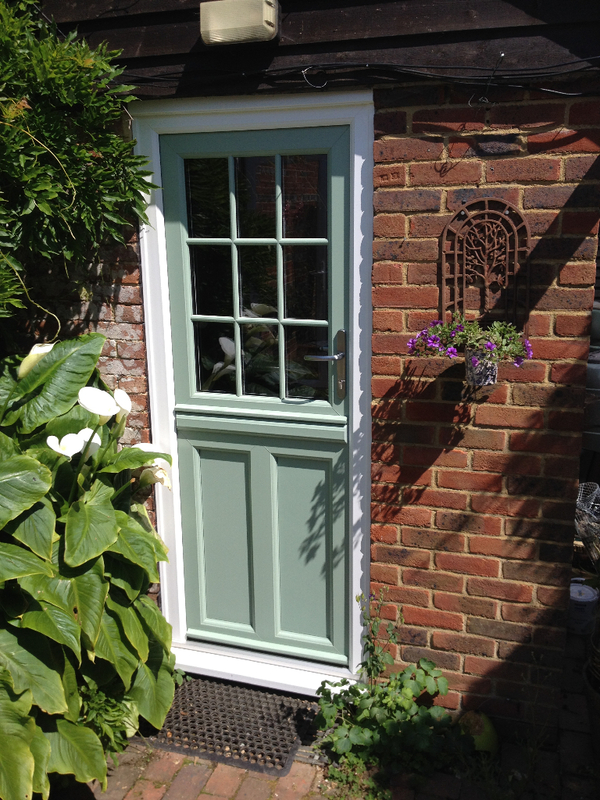 So you can be as bold as you like and choose a bright colour or perhaps go traditional and choose an oak finish that will give you the classic wooden stable door look. If you would like a quote for one of our PVCu stable doors, then please give us your contact details and someone will be in touch very soon. Or please call us on 01435 866456.